3rd Row Seat, Bluetooth, DRIVER ASSISTANCE PACKAGE, Alloy Wheels, Turbo, iPod/MP3 Input, Back-Up Camera. FUEL EFFICIENT 29 MPG Hwy/22 MPG City! VOLKSWAGEN OF EDMOND OKLAHOMA is the place to buy your next vehicle and here is why - The newest Volkswagen Dealer in Oklahoma is working hard to earn your business by offering the largest inventory in Oklahoma with the lowest prices. If you're looking for a new or used Volkswagen, don't hesitate to stop by and give us a try. We maintain a professionally trained and courteous staff that is ready to answer all your questions. You will immediately feel like family as you are greeted by our staff of caring and knowledgeable professionals with only your wants and needs in mind; they will guide you through the process of choosing the Volkswagen that best fits your lifestyle. OPTION PACKAGES DRIVER ASSISTANCE PACKAGE Blind Spot Monitor w/Rear Traffic Alert, Forward Collision Warning, autonomous emergency braking w/pedestrian monitoring (front assist). Fuel economy calculations based on original manufacturer data for trim engine configuration. Internet price is for the listed vehicle only. Prices displayed do not include tax, title, license or registration fees. Dealer documentation fee of $399 not included. All available incentives from VOA applied to obtain full discount. Pictures and/or price may not reflect final vehicle build, including any dealer installed equipment installed after pictures were taken. Vehicles are subject to availability, please call us to verify. Prices subject to change. 3rd Row Seat, Bluetooth, DRIVER ASSISTANCE PACKAGE, Alloy Wheels, Turbo Charged, iPod/MP3 Input, Back-Up Camera. FUEL EFFICIENT 29 MPG Hwy/22 MPG City! VOLKSWAGEN OF EDMOND OKLAHOMA is the place to buy your next vehicle and here is why - The newest Volkswagen Dealer in Oklahoma is working hard to earn your business by offering the largest inventory in Oklahoma with the lowest prices. If you're looking for a new or used Volkswagen, don't hesitate to stop by and give us a try. We maintain a professionally trained and courteous staff that is ready to answer all your questions. You will immediately feel like family as you are greeted by our staff of caring and knowledgeable professionals with only your wants and needs in mind; they will guide you through the process of choosing the Volkswagen that best fits your lifestyle. OPTION PACKAGES DRIVER ASSISTANCE PACKAGE Blind Spot Monitor w/Rear Traffic Alert, Forward Collision Warning, autonomous emergency braking w/pedestrian monitoring (front assist). Fuel economy calculations based on original manufacturer data for trim engine configuration. Internet price is for the listed vehicle only. Prices displayed do not include tax, title, license or registration fees. Dealer documentation fee of $399 not included. All available incentives from VOA applied to obtain full discount. Pictures and/or price may not reflect final vehicle build, including any dealer installed equipment installed after pictures were taken. Vehicles are subject to availability, please call us to verify. Prices subject to change. Bluetooth, iPod/MP3 Input, Turbo Charged Engine, Aluminum Wheels, Back-Up Camera, All Wheel Drive. FUEL EFFICIENT 29 MPG Hwy/21 MPG City! VOLKSWAGEN OF EDMOND OKLAHOMA is the place to buy your next vehicle and here is why - The newest Volkswagen Dealer in Oklahoma is working hard to earn your business by offering the largest inventory in Oklahoma with the lowest prices. If you're looking for a new or used Volkswagen, don't hesitate to stop by and give us a try. We maintain a professionally trained and courteous staff that is ready to answer all your questions. You will immediately feel like family as you are greeted by our staff of caring and knowledgeable professionals with only your wants and needs in mind; they will guide you through the process of choosing the Volkswagen that best fits your lifestyle. Fuel economy calculations based on original manufacturer data for trim engine configuration. Internet price is for the listed vehicle only. Prices displayed do not include tax, title, license or registration fees. Dealer documentation fee of $399 not included. All available incentives from VOA applied to obtain full discount. Pictures and/or price may not reflect final vehicle build, including any dealer installed equipment installed after pictures were taken. Vehicles are subject to availability, please call us to verify. Prices subject to change. EPA 29 MPG Hwy/21 MPG City! Bluetooth, iPod/MP3 Input, DRIVER ASSISTANCE PACKAGE, Aluminum Wheels, Turbo Charged Engine, Back-Up Camera, All Wheel Drive. VOLKSWAGEN OF EDMOND OKLAHOMA is the place to buy your next vehicle and here is why - The newest Volkswagen Dealer in Oklahoma is working hard to earn your business by offering the largest inventory in Oklahoma with the lowest prices. If you're looking for a new or used Volkswagen, don't hesitate to stop by and give us a try. We maintain a professionally trained and courteous staff that is ready to answer all your questions. You will immediately feel like family as you are greeted by our staff of caring and knowledgeable professionals with only your wants and needs in mind; they will guide you through the process of choosing the Volkswagen that best fits your lifestyle. OPTION PACKAGES DRIVER ASSISTANCE PACKAGE Blind Spot Monitor w/Rear Traffic Alert, Forward Collision Warning, autonomous emergency braking w/pedestrian monitoring (front assist). Fuel economy calculations based on original manufacturer data for trim engine configuration. Internet price is for the listed vehicle only. Prices displayed do not include tax, title, license or registration fees. Dealer documentation fee of $399 not included. All available incentives from VOA applied to obtain full discount. Pictures and/or price may not reflect final vehicle build, including any dealer installed equipment installed after pictures were taken. Vehicles are subject to availability, please call us to verify. Prices subject to change. 3rd Row Seat, Heated Seats, Satellite Radio, Alloy Wheels, Back-Up Camera, Turbo. EPA 29 MPG Hwy/22 MPG City! VOLKSWAGEN OF EDMOND OKLAHOMA is the place to buy your next vehicle and here is why - The newest Volkswagen Dealer in Oklahoma is working hard to earn your business by offering the largest inventory in Oklahoma with the lowest prices. If you're looking for a new or used Volkswagen, don't hesitate to stop by and give us a try. We maintain a professionally trained and courteous staff that is ready to answer all your questions. You will immediately feel like family as you are greeted by our staff of caring and knowledgeable professionals with only your wants and needs in mind; they will guide you through the process of choosing the Volkswagen that best fits your lifestyle. Fuel economy calculations based on original manufacturer data for trim engine configuration. Internet price is for the listed vehicle only. Prices displayed do not include tax, title, license or registration fees. Dealer documentation fee of $399 not included. All available incentives from VOA applied to obtain full discount. Pictures and/or price may not reflect final vehicle build, including any dealer installed equipment installed after pictures were taken. Vehicles are subject to availability, please call us to verify. Prices subject to change. Third Row Seat, Heated Seats, Aluminum Wheels, Satellite Radio, Back-Up Camera, Turbo Charged. FUEL EFFICIENT 29 MPG Hwy/22 MPG City! VOLKSWAGEN OF EDMOND OKLAHOMA is the place to buy your next vehicle and here is why - The newest Volkswagen Dealer in Oklahoma is working hard to earn your business by offering the largest inventory in Oklahoma with the lowest prices. If you're looking for a new or used Volkswagen, don't hesitate to stop by and give us a try. We maintain a professionally trained and courteous staff that is ready to answer all your questions. You will immediately feel like family as you are greeted by our staff of caring and knowledgeable professionals with only your wants and needs in mind; they will guide you through the process of choosing the Volkswagen that best fits your lifestyle. Fuel economy calculations based on original manufacturer data for trim engine configuration. Internet price is for the listed vehicle only. Prices displayed do not include tax, title, license or registration fees. Dealer documentation fee of $399 not included. All available incentives from VOA applied to obtain full discount. Pictures and/or price may not reflect final vehicle build, including any dealer installed equipment installed after pictures were taken. Vehicles are subject to availability, please call us to verify. Prices subject to change. 3rd Row Seat, Heated Seats, Alloy Wheels, Turbo, Satellite Radio, Back-Up Camera. EPA 29 MPG Hwy/22 MPG City! VOLKSWAGEN OF EDMOND OKLAHOMA is the place to buy your next vehicle and here is why - The newest Volkswagen Dealer in Oklahoma is working hard to earn your business by offering the largest inventory in Oklahoma with the lowest prices. If you're looking for a new or used Volkswagen, don't hesitate to stop by and give us a try. We maintain a professionally trained and courteous staff that is ready to answer all your questions. You will immediately feel like family as you are greeted by our staff of caring and knowledgeable professionals with only your wants and needs in mind; they will guide you through the process of choosing the Volkswagen that best fits your lifestyle. Fuel economy calculations based on original manufacturer data for trim engine configuration. Internet price is for the listed vehicle only. Prices displayed do not include tax, title, license or registration fees. Dealer documentation fee of $399 not included. All available incentives from VOA applied to obtain full discount. Pictures and/or price may not reflect final vehicle build, including any dealer installed equipment installed after pictures were taken. Vehicles are subject to availability, please call us to verify. Prices subject to change. Heated Seats, 3rd Row Seat, REMOTE ENGINE START W/REMOTE KEY FOB. Alloy Wheels, Turbo, Satellite Radio, Back-Up Camera. FUEL EFFICIENT 29 MPG Hwy/22 MPG City! VOLKSWAGEN OF EDMOND OKLAHOMA is the place to buy your next vehicle and here is why - The newest Volkswagen Dealer in Oklahoma is working hard to earn your business by offering the largest inventory in Oklahoma with the lowest prices. If you're looking for a new or used Volkswagen, don't hesitate to stop by and give us a try. We maintain a professionally trained and courteous staff that is ready to answer all your questions. You will immediately feel like family as you are greeted by our staff of caring and knowledgeable professionals with only your wants and needs in mind; they will guide you through the process of choosing the Volkswagen that best fits your lifestyle. OPTION PACKAGES REMOTE ENGINE START W/REMOTE KEY FOB (1). Fuel economy calculations based on original manufacturer data for trim engine configuration. Internet price is for the listed vehicle only. Prices displayed do not include tax, title, license or registration fees. Dealer documentation fee of $399 not included. All available incentives from VOA applied to obtain full discount. Pictures and/or price may not reflect final vehicle build, including any dealer installed equipment installed after pictures were taken. Vehicles are subject to availability, please call us to verify. Prices subject to change. Heated Seats, Third Row Seat, REMOTE ENGINE START W/REMOTE KEY FOB. Aluminum Wheels, Turbo Charged, Satellite Radio, Back-Up Camera. FUEL EFFICIENT 29 MPG Hwy/22 MPG City! VOLKSWAGEN OF EDMOND OKLAHOMA is the place to buy your next vehicle and here is why - The newest Volkswagen Dealer in Oklahoma is working hard to earn your business by offering the largest inventory in Oklahoma with the lowest prices. If you're looking for a new or used Volkswagen, don't hesitate to stop by and give us a try. We maintain a professionally trained and courteous staff that is ready to answer all your questions. You will immediately feel like family as you are greeted by our staff of caring and knowledgeable professionals with only your wants and needs in mind; they will guide you through the process of choosing the Volkswagen that best fits your lifestyle. OPTION PACKAGES REMOTE ENGINE START W/REMOTE KEY FOB (1). Fuel economy calculations based on original manufacturer data for trim engine configuration. Internet price is for the listed vehicle only. Prices displayed do not include tax, title, license or registration fees. Dealer documentation fee of $399 not included. All available incentives from VOA applied to obtain full discount. Pictures and/or price may not reflect final vehicle build, including any dealer installed equipment installed after pictures were taken. Vehicles are subject to availability, please call us to verify. Prices subject to change. Heated Seats, Third Row Seat, Satellite Radio, Aluminum Wheels, ROOF RACK, Back-Up Camera, Turbo Charged Engine. FUEL EFFICIENT 29 MPG Hwy/22 MPG City! VOLKSWAGEN OF EDMOND OKLAHOMA is the place to buy your next vehicle and here is why - The newest Volkswagen Dealer in Oklahoma is working hard to earn your business by offering the largest inventory in Oklahoma with the lowest prices. If you're looking for a new or used Volkswagen, don't hesitate to stop by and give us a try. We maintain a professionally trained and courteous staff that is ready to answer all your questions. You will immediately feel like family as you are greeted by our staff of caring and knowledgeable professionals with only your wants and needs in mind; they will guide you through the process of choosing the Volkswagen that best fits your lifestyle. OPTION PACKAGES ROOF RACK base carrier bars (set of 2). Fuel economy calculations based on original manufacturer data for trim engine configuration. Internet price is for the listed vehicle only. Prices displayed do not include tax, title, license or registration fees. Dealer documentation fee of $399 not included. All available incentives from VOA applied to obtain full discount. Pictures and/or price may not reflect final vehicle build, including any dealer installed equipment installed after pictures were taken. Vehicles are subject to availability, please call us to verify. Prices subject to change. Heated Seats, Aluminum Wheels, Turbo Charged Engine, All Wheel Drive, Satellite Radio, Back-Up Camera. FUEL EFFICIENT 29 MPG Hwy/21 MPG City! VOLKSWAGEN OF EDMOND OKLAHOMA is the place to buy your next vehicle and here is why - The newest Volkswagen Dealer in Oklahoma is working hard to earn your business by offering the largest inventory in Oklahoma with the lowest prices. If you're looking for a new or used Volkswagen, don't hesitate to stop by and give us a try. We maintain a professionally trained and courteous staff that is ready to answer all your questions. You will immediately feel like family as you are greeted by our staff of caring and knowledgeable professionals with only your wants and needs in mind; they will guide you through the process of choosing the Volkswagen that best fits your lifestyle. Fuel economy calculations based on original manufacturer data for trim engine configuration. Internet price is for the listed vehicle only. Prices displayed do not include tax, title, license or registration fees. Dealer documentation fee of $399 not included. All available incentives from VOA applied to obtain full discount. Pictures and/or price may not reflect final vehicle build, including any dealer installed equipment installed after pictures were taken. Vehicles are subject to availability, please call us to verify. Prices subject to change. Heated Seats, Turbo Charged Engine, Back-Up Camera, All Wheel Drive, Aluminum Wheels, Satellite Radio. FUEL EFFICIENT 29 MPG Hwy/21 MPG City! VOLKSWAGEN OF EDMOND OKLAHOMA is the place to buy your next vehicle and here is why - The newest Volkswagen Dealer in Oklahoma is working hard to earn your business by offering the largest inventory in Oklahoma with the lowest prices. If you're looking for a new or used Volkswagen, don't hesitate to stop by and give us a try. We maintain a professionally trained and courteous staff that is ready to answer all your questions. You will immediately feel like family as you are greeted by our staff of caring and knowledgeable professionals with only your wants and needs in mind; they will guide you through the process of choosing the Volkswagen that best fits your lifestyle. Fuel economy calculations based on original manufacturer data for trim engine configuration. Internet price is for the listed vehicle only. Prices displayed do not include tax, title, license or registration fees. Dealer documentation fee of $399 not included. All available incentives from VOA applied to obtain full discount. Pictures and/or price may not reflect final vehicle build, including any dealer installed equipment installed after pictures were taken. Vehicles are subject to availability, please call us to verify. Prices subject to change. Heated Seats, Satellite Radio, ROADSIDE ASSISTANCE KIT, Alloy Wheels, Turbo Charged, Back-Up Camera, All Wheel Drive. EPA 29 MPG Hwy/21 MPG City! 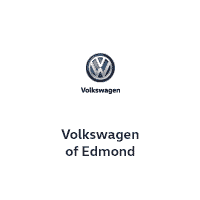 VOLKSWAGEN OF EDMOND OKLAHOMA is the place to buy your next vehicle and here is why - The newest Volkswagen Dealer in Oklahoma is working hard to earn your business by offering the largest inventory in Oklahoma with the lowest prices. If you're looking for a new or used Volkswagen, don't hesitate to stop by and give us a try. We maintain a professionally trained and courteous staff that is ready to answer all your questions. You will immediately feel like family as you are greeted by our staff of caring and knowledgeable professionals with only your wants and needs in mind; they will guide you through the process of choosing the Volkswagen that best fits your lifestyle. OPTION PACKAGES ROADSIDE ASSISTANCE KIT booster cables, warning triangle, LED flashlight, work gloves, multi-tool and more. Fuel economy calculations based on original manufacturer data for trim engine configuration. Internet price is for the listed vehicle only. Prices displayed do not include tax, title, license or registration fees. Dealer documentation fee of $399 not included. All available incentives from VOA applied to obtain full discount. Pictures and/or price may not reflect final vehicle build, including any dealer installed equipment installed after pictures were taken. Vehicles are subject to availability, please call us to verify. Prices subject to change. Heated Seats, 3rd Row Seat, Satellite Radio, 3RD ROW SEAT PACKAGE, Alloy Wheels, Turbo Charged, Back-Up Camera, All Wheel Drive. EPA 29 MPG Hwy/21 MPG City! VOLKSWAGEN OF EDMOND OKLAHOMA is the place to buy your next vehicle and here is why - The newest Volkswagen Dealer in Oklahoma is working hard to earn your business by offering the largest inventory in Oklahoma with the lowest prices. If you're looking for a new or used Volkswagen, don't hesitate to stop by and give us a try. We maintain a professionally trained and courteous staff that is ready to answer all your questions. You will immediately feel like family as you are greeted by our staff of caring and knowledgeable professionals with only your wants and needs in mind; they will guide you through the process of choosing the Volkswagen that best fits your lifestyle. OPTION PACKAGES 3RD ROW SEAT PACKAGE 50/50 split fold-flat, 2-passenger, 3rd row bench seat w/armrest. Fuel economy calculations based on original manufacturer data for trim engine configuration. Internet price is for the listed vehicle only. Prices displayed do not include tax, title, license or registration fees. Dealer documentation fee of $399 not included. All available incentives from VOA applied to obtain full discount. Pictures and/or price may not reflect final vehicle build, including any dealer installed equipment installed after pictures were taken. Vehicles are subject to availability, please call us to verify. Prices subject to change. Heated Seats, Third Row Seat, Satellite Radio, 3RD ROW SEAT PACKAGE, Aluminum Wheels, Turbo Charged Engine, Back-Up Camera, All Wheel Drive. FUEL EFFICIENT 29 MPG Hwy/21 MPG City! VOLKSWAGEN OF EDMOND OKLAHOMA is the place to buy your next vehicle and here is why - The newest Volkswagen Dealer in Oklahoma is working hard to earn your business by offering the largest inventory in Oklahoma with the lowest prices. If you're looking for a new or used Volkswagen, don't hesitate to stop by and give us a try. We maintain a professionally trained and courteous staff that is ready to answer all your questions. You will immediately feel like family as you are greeted by our staff of caring and knowledgeable professionals with only your wants and needs in mind; they will guide you through the process of choosing the Volkswagen that best fits your lifestyle. OPTION PACKAGES 3RD ROW SEAT PACKAGE 50/50 split fold-flat, 2-passenger, 3rd row bench seat w/armrest. Fuel economy calculations based on original manufacturer data for trim engine configuration. Internet price is for the listed vehicle only. Prices displayed do not include tax, title, license or registration fees. Dealer documentation fee of $399 not included. All available incentives from VOA applied to obtain full discount. Pictures and/or price may not reflect final vehicle build, including any dealer installed equipment installed after pictures were taken. Vehicles are subject to availability, please call us to verify. Prices subject to change. Heated Seats, 3rd Row Seat, Satellite Radio, 3RD ROW SEAT PACKAGE, Alloy Wheels, Turbo, Back-Up Camera, All Wheel Drive. EPA 29 MPG Hwy/21 MPG City! VOLKSWAGEN OF EDMOND OKLAHOMA is the place to buy your next vehicle and here is why - The newest Volkswagen Dealer in Oklahoma is working hard to earn your business by offering the largest inventory in Oklahoma with the lowest prices. If you're looking for a new or used Volkswagen, don't hesitate to stop by and give us a try. We maintain a professionally trained and courteous staff that is ready to answer all your questions. You will immediately feel like family as you are greeted by our staff of caring and knowledgeable professionals with only your wants and needs in mind; they will guide you through the process of choosing the Volkswagen that best fits your lifestyle. OPTION PACKAGES 3RD ROW SEAT PACKAGE 50/50 split fold-flat, 2-passenger, 3rd row bench seat w/armrest. Fuel economy calculations based on original manufacturer data for trim engine configuration. Internet price is for the listed vehicle only. Prices displayed do not include tax, title, license or registration fees. Dealer documentation fee of $399 not included. All available incentives from VOA applied to obtain full discount. Pictures and/or price may not reflect final vehicle build, including any dealer installed equipment installed after pictures were taken. Vehicles are subject to availability, please call us to verify. Prices subject to change.